Form SF 3112C: Physician’s Statement is completed by your physician (or other qualified healthcare practitioner, e.g., psychologist, nurse practitioner, etc.). 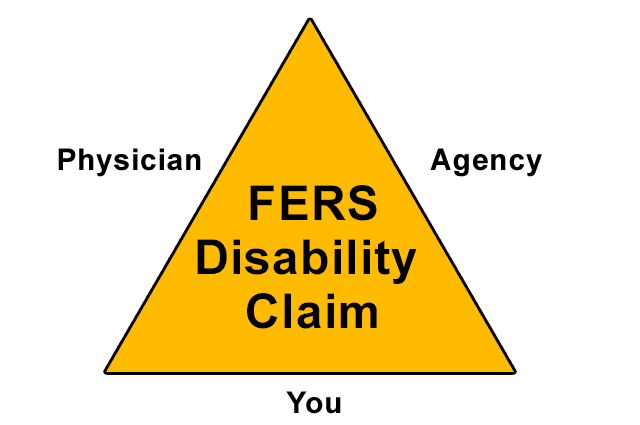 Your physician’s testimonial is, by far, the most important component of your application for FERS Disability Retirement (FDR). This article discusses the role of SF 3112C and provides some important tips for you and your doctor. Before we delve into the specifics, however, let’s take a look at how SF 3112C fits into the big picture. What is the Role of SF 3112C? Your physician’s statement is an extremely important component of your disability claim. OPM uses the information contained in SF 3112C to determine whether you meet the medical requirements for FDR. Without a strong, detailed testimonial from your physician, it is highly unlikely that OPM will approve your claim. The background/history of your disabling medical condition(s). A list/discussion of past and present medications. A list/discussion of past and present therapies and/or treatments. A list/discussion of relevant hospitalizations. A list/discussion of relevant operative procedures and/or diagnostic tests. A detailed account of your symptoms and physical and/or mental limitations. A list/discussion of your medical restrictions. Supporting medical documentation for all the above (e.g., reports, notes, summaries, etc.). Most importantly, your physician’s statement should include a detailed discussion of the causal relationship between your disabling medical conditions and your inability to perform one or more essential functions of your federal position of record. Be proactive and work closely with your doctor to help him/her draft an accurate, compelling statement. If you identify any errors, inaccuracies, or important omissions, don’t be afraid to speak up and address these with your doctor. After all, your financial security is on the line. Ultimately, you want SF 3112C to be a clear and precise account of your disabling medical conditions. The statement should emphasize the frequency and severity of your symptoms, and it should show a clear nexus between your disabilities and your inability to perform specific work functions. Note: SF 3112C can be found on pages 6 and 7 of SF 3112: Documentation in Support of Disability Retirement Application. © 2019 Scott Santarelli. All rights reserved. This article may not be reproduced without express written consent from Scott Santarelli.